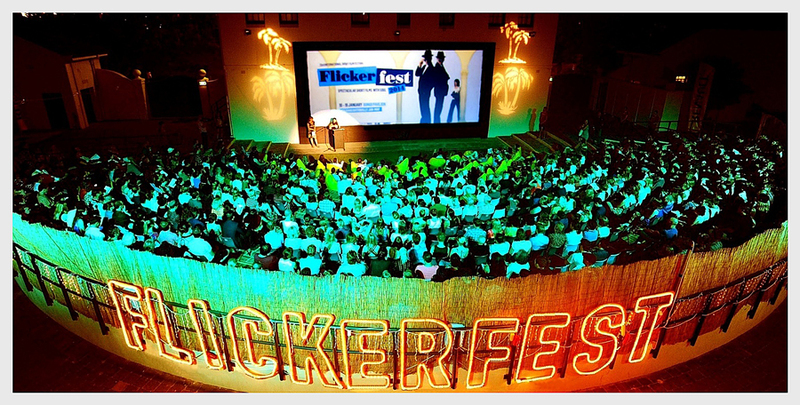 Four Academy-qualifying awards and also a BAFTA recognised festival – Flickerfest, Australia’s premier international short film festival, is one of the hot new open calls for short filmmakers at FilmFestivalLife. Besides the traditional Best Australian Short Film, Best Short Film and Animation awards for international filmmakers, the festival at the famous Bondi Beach acts also as a pathway to the Oscars for documentary shorts. We‘re looking for filmmakers to be bold and very creative in their storytelling. For a short film, it‘s really important that it‘s truly independent – it doesn‘t have to be akin to a Hollywood blockbuster! It doesn‘t even need to have a huge production values, but it does need to tell a contemporary story or a historical story. All films that get you excited about that you are engage to the story whether it‘s a film from Colombia, Germany or Iceland. What you want is an unique story, one that’s not a clone of something that you already have seen. A creative and interesting way of storytelling is what I find compelling. Make films that you are really passionate about! Make stories you love. I think that you shouldn‘t make a film just because it will get you into a festival. The films that really stand out have an unique voice, coming through with their passion. I particularly love short documentaries. They‘re telling often unique stories, but in a really unusually creative way. They don‘t have to follow the hour or half an hour structure of television. I’m doing documentaries by myself, so I am very excited that Flickerfest‘s documentary award is Academy Award qualifying as well. Australia makes a lot of dark films, even though you may expect it would be making a lot of lighter comedies, being such a sunny place! But Australians really have a strong storytelling perspective and films tend to be a little bit darker focusing on the interior life of characters our wide open spaces and unique view of the world. We have a long tradition of short filmmaking here. From the seventies onwards, with the ‘Australian New Wave’ lots of people made feature and short films, including famous directors like Peter Weir, Phil Noyce and Gillian Armstrong . You could say we are a little behind other nations when it comes to having a really strong national cinema but as a smaller country with a mountain of Hollywood blockbusters predominantly on our screens we still manage punch above our weight when it comes to making fresh, vibrant and highly creative features that are awarded and recognised across the world and we certainly make lots and lots of short films that are being screened and receiving accolades at festivals all around the world as well. Without a short film festival, it would be very difficult to discover a lot of these amazing filmmakers. I know that short films can be found on the internet now, but I think it‘s very hard to discover new films amongst the noise of the internet. Through the festival you can go on a journey of discovering amazing shorts, that somebody has actually gone through – somebody whose watched from 1,000 to 6,000 films and then selected all those that stood out that year. As a platform for discovery and encouraging the next generation to share their stories that‘s why I think short film festivals are really important. Also, cinema is really important. We can all sit at home, download a film and watch it alone. But it’s in sharing experiences with the audience, that I find the great beauty of cinema in both feature and short film festivals. An Academy Award qualification status makes a festival very competitive and I guess the pinnacle of short films some would say is the Oscars, whilst some others would say it’s the national award. The goal for a short film should be to be seen by audiences at as many festivals as possible. From a festival in Colombia to one in New York to one at Bondi Beach in Australia. That‘s a filmmaking work that the audience are really engaging with. Short film is not Hollywood. It‘s independent and you‘re meeting fantastic new actors on the screen and great storytelling from people that will hopefully go on with a fantastic career in entertainment. That‘s why I think the pinnacle is not necessarily the Oscars. For us this is the first time that we work with FilmFestivalLife and it’s the first time that we work with online entries! I am really excited about ‘no more DVD‘s‘. No more worrying about the slow mail in Australia! DVD‘s obviously need fabricating and sending it – all those things impact on the environment. The less DVD‘s, absolutely the better. We have around 40 people on the selection committee and another small team who work on the final programming. So it will just make things much easier and we will have people‘s films immediately in the quality that they want us to view them in. In short, we’re really looking forward to seeing how our relationship with FilmFestivalLife goes and the entries that come in with your platform this year.